Sports Rendezvous: 'No words!' German media's dismay after World Cup holders' humiliation. 'No words!' 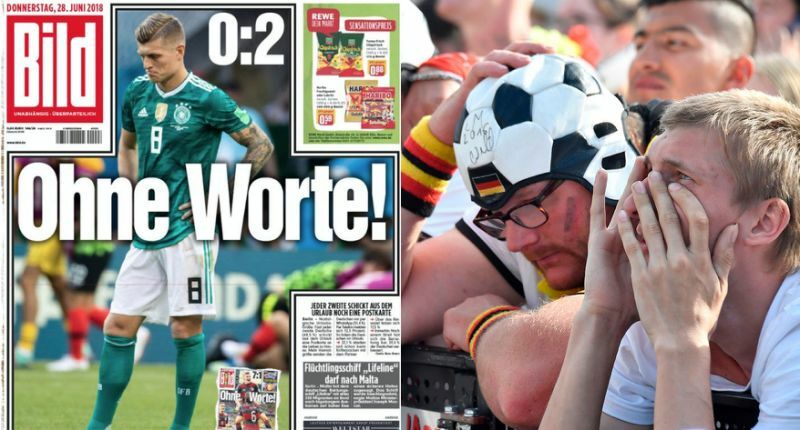 German media's dismay after World Cup holders' humiliation. Germany’s early exit from the World Cup sent shockwaves through the football world on Wednesday. The defending champions were dumped out after losing to South Korea, having won just one of their group games. And nowhere was there more consternation than in Bavaria itself, where the German press were in meltdown in the wake of the national teams’s earliest World Cup exit since 1938. The front page of Germany’s top tabloid, ‘Bild’, simply said ‘Ohne Worte!’ (‘There are no words’). The cover featured the same shocked headline the paper used after Germany’s incredible 7-1 semi-final win over Brazil at World Cup 2014.